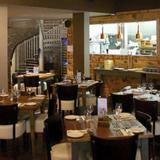 Lucca Bar and Kitchen is a contemporary Italian restaurant with a luxury champagne bar. 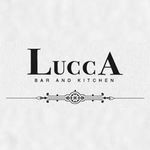 Do you work at Lucca Bar and Kitchen? 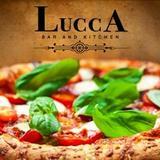 What did you think of Lucca Bar and Kitchen? The best Italian food! I've never eaten better lasagne before. The cocktails- first class. Went on Wednesday lunch for groupon meal - was waiting for 15 mins at the restaurant door being ignored before I finally went upto a waiter to ask for a table - he looked at my groupon voucher and after a word with another member of staff sat me at a vacant table (of which there were several) it was busy but as it was the end of the groupon deal that should be expected. Was given a food menu but no drinks menu - then asked what I wanted to drink! After 15 mins came to take our order, ordered burger for my daughter only to be told they had none (would of being handy to have been told this on arrival) so had a quick rethink. Food came out after 40 mins with no side order of chips - said would be with us shortly - other people received their food including chips but still they didn't arrive - asked twice and then after we had finished our meal was asked if all ok - said had still not got chips which they said they had run out of! Was told our drinks (an orange and lemonade) had been knocked off our bill as way of apology. The food was nice and setting lovely (lasagne was very rich for my daughter who left hungry) but service was appalling and the staff quite rude so will not be visiting again. food was amazing if not a little cold however staff and service where rude and disorganised. Great location, amazing decor and nice atmosphere. 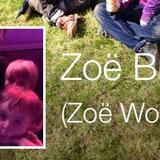 Let down by some ill mannered staff and disorganised service. I must admit, after reading a couple of the reviews on here I wasn't expecting much, but please, ignore these bad reviews.The service is absolutely amazing. We were constantly being asked if we needed anything, the waiting staff couldn't be more helpful if they tried.The food was out of this world.I will definately be visiting this place over and over again, and would recommend to EVERYONE!! !It is by FAR, one of the best places I have ever eaten.Well done Lucca. Fantastic food, fantastic staff, so happy! Came here as a work night out, six people ordering six different meals all of them 5 star. This must be one of the nicest restaurants in Hull in terms of decor and location too. This will be somewhere we will be visiting again. Service and honesty were not up to scratch. Menu said onion rings were part of my dish. It arrived with three very tiny whole onions on plate. Asked waitress where onion rings were she went off to see chef or someone and came back to say they were not on the menu hoping I think that we wouldn't take it further. We asked to see the menu again and showed her where it said onion rings with the dish, she again went back to the kitchen and returned saying that they would be with us very shortly they were just cooking them! Not a good first visit to Lucca Bar and Kitchen. Was it a case of just couldn't be bothered, what about customer satisfaction? Come on, it was not cheap and this kind of service is just not acceptable. 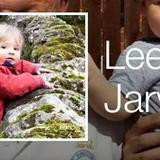 Very nice restaurant, food excellent, service spot on, atmosphere very relaxed. Six of us went and had a very good night, price ok. Make sure they Confirm your Booking as when we arrived we did not have a reservation, although booked 6 days in advance. Amazing food, service and atmosphere! Best night out in ages and best food in hull - fact! delicous scallops, perfectly cooked steaks, mouth watering cocktails and made to feel very special!